Amigo Slots are proud to host Eyecon’s beat fantasy get! Play across the 5 x 3 reel grid with an RTP of 94.5%, there are 25 different wins, free spins up for grabs, the option to take a 50 / 50 gamble, and the guarantee of plenty of frequent wins on this iconic slot from Eyecon! Chances are you will have become well accustomed to the tale of the enchanted prince, otherwise known as the frog prince. Mentions of him are dotted throughout history with different people all telling different versions of the tale. Many of you will be more familiar with the slot from Disney’s 2009 animated film ‘The Princess and the Frog’, but the history of the tale dates all the way back to the roman times. As ever, there is much more beyond the fairy tale which is depicted in the animated screen. So before we introduce you to how Eyecon have recreated the tale for the pleasure of online slot fans, we’ll give you a little idea of how the tale first come about. That way, you will appreciate what Eyecon have created so much more. Sure, everyone knows a little about the princess and the frog, a princess kisses a frog and he turns into a prince after the spell has been broken, right? Erm, not quite. See, there are many adaptations of the story. The first time that the story was ever written was in 1889 in a novel titled ‘the Frog Prince’. It became popular once more when the Brother’s Grimm got their hands on it and adapted the tale for a modern age. With the Brother’s Grimm re-telling of the tale there was no love lost between the frog and the princess, instead, the princess was fairly spoilt and only came to befriend the frog reluctantly. The spell is broken by the princess when she drops a golden ball into the pond where the frog is hanging out amongst the water lilies and lily pads. In some versions of the tale, she kisses him – but it doesn’t seem all too likely that a bratty princess would ever be inclined to kiss a frog. Some retellings would have you believe a spell was cast to free the frog. Eyecon have pretty much left it up to the players decide how he came to life as the majestic prince he was always destined to be. Eyecon’s Enchanted Prince was first released early 2013, giving fans of the fable a way to explore the fantasy, at the same time as winning come cash through playing an immersive adorable slot game. 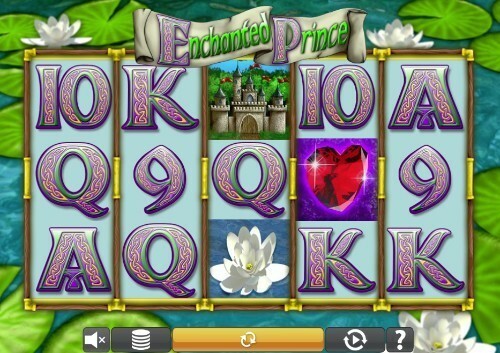 It really is no wonder that Enchanted Prince is so popular on Amigo Slots! If you are familiar with how Eyecon like to create their slots, you won’t be surprised to learn that they have made Enchanted Prince an incredibly cute slot. This one is certainly for any Disney fans who appreciate a bit of cute slot action! You’ll get 25 different fixed pay lines to choose from when you are playing Enchanted Prince, that means that you’ll be able to increase your chances of winning when you are spinning the reels. You’ll be able to set your bet amounts as little as 25p per spin or as high as £12.50 which is fairly average for Eyecon’s betting range as they are keen on promoting sensible gambling! You have the option to play with one pay line, or all 25 – just make sure you are playing within your budget. The aesthetic of the game is incredible, even though the graphics aren’t super HD as you would expect from some of the more recent online slots. But remember, this online slot is already fairly dated as it was released way back in 2013! Behind the reels you will see a mystical pond, which the enchanted prince probably once lived in and not a lot else. But still, there’s still a very nice visual feel to Enchanted Prince as you aren’t just staring into the depths of the azure water. You will get to see water lilies and the lily pads which make the pond look fairly homely! The game will look slightly different on the mobile version of the game, however on the desktop and laptop version the pastel-coloured reels will take up most of the screen. As the theme is centred around princess and princesses, you’ll notice a fairly regal effect to the touch and the theme will be extended through the variety of specially themed symbols which you will see on the reels. Eyecon didn’t exactly go all out with the symbols on Enchanted Prince as they incorporated some standard alphabetical and numerical symbols, but even those are constructed with cute Celtic patterns, so we can let them off a little bit. The symbols vary in what they can win you in the game, with the highest symbols paying out with a special twist – they give you multipliers based on your original stake amount instead of a set amount of coins with each win. So, the incentive is definitely there to bet high with this online slot. Even if you have to wait for the big wins, the high volatility of Enchanted Prince will make sure you never have to wait around for long before you hear the ring of the coins hitting your coin balance. As sound effects and music goes with this online slot, you’ll be disappointed if you were looking for a majestic soundtrack to carry you through the game. The only time the sound effects spring to life is when you enter into a bonus round or you get to enjoy the excitement of striking a winning combination. Now that you’re well acquainted with the theme of Enchanted Prince, we’ll run you through exactly what you can expect from the online slot. Now, if you’re looking for a high variance game, it may be fair to say that Enchanted Prince won’t be for you as there is only one bonus round. But if you are looking for a simple online slot where you can just appreciate the feelgood fairy tale theme, you may be pleasantly surprised when you are spinning the reels on Enchanted Prince. It’s perceptible that Eyecon put a lot of effort into ensuring that the online slot was as immersive and fantasy-fuelled as possible. As with most of Eyecon’s games, you can expect to see a wild card and a scatter card. In Enchanted Prince the Wild will be a regal crown covered in plenty of beautiful diamonds, rubies and other gems. It works in the way most Eyecon Wild’s do, and substitutes symbols on the reels to help you to form more winning combinations. It will also help to double the cash reward for any winning combination that it is a part of. The scatter symbol in Enchanted prince is the charming little frog who is sat on the lily pad waiting to make his transformation. Finding three or more frog symbols will transport you to the free spins bonus round which we will cover in more detail down below. But first, you need to be introduced to the normal symbols which you will hope to match in the standard gameplay. The symbol which you will definitely want to match five of, is the princess who plays a very important role in the tale along with playing an important role in making sure that you have the chance to win plenty of money while you are playing Enchanted Prince! If you manage to match five of them, your original stake amount will be boosted by a 2400x multiplier! Considering that you can play with a maximum of £12.50, that’s a crazy amount of money! The castle is also fairly generous with what it can give you if you match five of them. The 1800x multiplier is certainly a lot to hope for as you spin the reels on Enchanted Prince. Remember – if you make any winning combination with the wild, this amount will be doubled! While those may be the most exciting symbols on the reels with Enchanted Prince, there are 9 more symbols which are waiting in the wings to make you a nice sum of money! As we touched upon before, the RTP for this online slot is 94.9%, which definitely isn’t the highest RTP which is offered in the online slot world, but there’s an incredibly high jackpot amount to be won with Enchanted Prince. Before you decide if it is for you or not, make sure you get to grips with the bonus features. They’ve kept it pretty classic with their bonus feature offerings, so if you have played plenty of the Eyecon games, chances are you’ve already played one that is fairly similar. But the hype around Eyecon never seems to die down. The free spins bonus feature is the main bonus feature when it comes to Enchanted Prince. Eyecon know that every reel fan loves to play with free spins. So they definitely weren’t stingy when they were handing them out for Enchanted Prince. The number of free spins you will play with depends on the number of scatter symbols you saw on the main reels when you triggered the game. But don’t worry! That’s not all the free spins you will get, especially if luck is on your side! Once you are playing within the free spins round, you will be able to re-trigger the feature if the charming little frog pops back up in the free spins round. How many times you are able to trigger this is limited to 15 times. But that’s still a fair amount of free spins if you manage to find 5 frogs on the reels every time you retrigger the free spins. Just think of how much money you could win for free! This is another staple feature of Eyecon’s online slots which you have probably come to expect when playing their games. Whether you use it is totally your choice. If you’re not feeling all too lucky, then it would probably be advisable not to use the feature and lose all of your winnings. When it is available to play with you will either get to double your winnings or lose them all completely. During this bonus feature you will need to make a selection between two choices. You may be required to pick up to 5 times. This can leave you with a very tidy £32,500! If you’re a little disheartened by Enchanted Prince there are plenty of other online fantasy-themed slots to choose from that we’ve covered in a little more detail further on in this review. Eyecon have one of the most successful game portfolios around in 2019. They first established themselves as a powerhouse of talent in 1997. But, not unsurprisingly, they didn’t kick off their portfolio with online slots back then. Those were the days when internet casinos weren’t all too common, however now, thankfully there are sites such as Amigo Slots which can offer you a 100% safe and fun gaming experience. Their story began with the release of a Sci-Fi 1st person shooter game which was an instant hit. With millions of downloads already completed within a few years Eyecon knew they had what it takes to be successful! Their first game was titled “Gore” and was released in 2002. However, it’s safe to say they had a bit of a change of direction when they started to create their online slots. The first one to be released was Temple of Iris, however three years later Fluffy Favourites came along and stole the show in all of its cute and cuddly glory. And there are plenty more games which make Eyecon the successful global industry-leaders that they are today. They never seem to go all out when they are creating their online slots, instead they run with a light and adorable theme. Other great games from Eyecon include Kitty Payout, Happy Mushroom, Piggy Payout, Irish Luck, 99 Time, Beez Kneez, Fluffy Too, Autumn Gold and Shaman’s Dream. 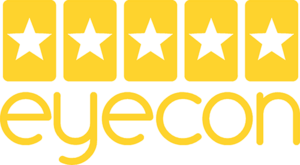 While there are plenty of game designers who are grabbing big awards, Eyecon are definitely leading the way with their world-class content. Their games are played all over the world, in different languages, continents and jurisdictions, because they are so popular in 2018 they managed to rack up an impressive amount of six billion spins on their games! Going back to Enchanted Prince, here’s how Eyecon promoted their uniquely charming slot on their website where the online slot is available to play in a demo mode. Give it a try and get the feel of the reels! Given that Eyecon weren’t all too generous with the bonus features and the variation on this game, it’s natural that you may want to look for another alternative to the fantasy-themed slots. We’ve picked out the best options from their portfolio where you may find something which is more to your liking! Happy Mushroom Online Slot by Eyecon: Eyecon are no strangers to cute slots, even though the Fluffy Favourites franchise may steal a lot of attention after being dubbed as the cutest slot of all time, people clearly haven’t discovered the delights of Happy Mushroom yet. There’s a little more of an Alice in Wonderland vibe behind Happy Mushroom. By the side of the reels, you’ll be in good company with the happy and smiley mushroom is ready to cheer you on with every spin of the reels on the 5 x 3 reel slots. It offers the same 25 pay lines across the reels, which are also incredibly cute! It will take you right back to your school days with the old chalkboard set up which is now very much a thing of the past. The online slot is available to play in both manual and auto mode, with the ability to spin up to 100 times in auto mode. There’s plenty of nice multipliers on offer while you are playing the free spins round. You can see your original stake amount boosted by a 100x multiplier! Kingdom of Cash Online Slot by Eyecon: Theme wise, you couldn’t get much more similar to the Enchanted Prince online slot. However there is much more of a historic feel to Kingdom of Cash which is an exceptionally popular online slot from Eyecon. If you’ve always wanted to take a trip back in time to the middle ages now you can! You’ll be surrounded by plenty of regal imagery which will help you to feel like a king or queen as you spin the reels. Eyecon put a lot of effort into ensuring that each of the symbols were as decadent as possible. As with their other games, there are 25 fixed betting lines, and a wild will offer you the same features you played with in Enchanted Prince. There are nice little quirks to the game such as gremlins appearing on the reels. But the best part of this game is definitely the fact that there is more than just one bonus round. You will get the same free spins feature as you enjoyed in Enchanted Prince, but you will also get to play the combat feature. And yes, it is definitely as exciting as it sounds, you’ll get to select different adversaries to go up against. If you make it through all four rounds you have the potential of winning a nice 100x multiplier! Twinkle Online Slot by Eyecon: Eyecon managed to steer clear of copyright violations with their fairy-themed slot Twinkle, but it’s fairly apparent what it’s all about. The gameplay will follow Twinkle the fairy as she goes on a heroic mission to save her fairy friends with her fairy dust. Leave all the hard work to Twinkle and focus on spinning the reels! You will be able to look forward to plenty of payouts from Twinkle, especially if you bet on more than one betting line. Thankfully, there’s also two bonus rounds to this online slot, and multipliers which can grow anywhere up to 100x! So, it’s very similar to Kingdom of Cash, but the theme is a lot cuter and a lot more familiar to any fans of Peter Pan! Mobile players had a bit of a wait before they could enjoy Enchanted Prince on Mobile, but in 2016 they finally came through with the mobile version of the game and Amigo Slots players definitely weren’t disappointed with the mobile optimised game!